If you guys follow me on Twitter, (and why wouldn't you?) you'd know I'm a huuuuuuuge fan of Adventure Time, the weird cartoon about a kid and his talking dog in a magical land of anthropomorphic candy. It's a truly special cartoon that needs to be seen by all nerds. It's already gotten pretty big on the Internet. And by the Internet, I mean my Twitter feed and close friends. 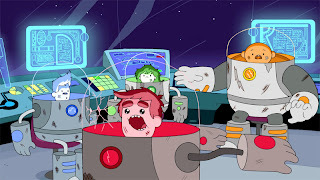 Anyway, Pendelton Ward the creator of Adventure Time has a YouTube show on the Cartoon Hangover channel from Channel Frederator studios called Bravest Warriors. It's about "4 teenage heroes-for-hire as they warp through galaxies to save adorable aliens and their worlds using the power of their emotions." I've seen all of the episodes, and I have to say I love the hell out of the really dark type of humor. You see hints of it here and there during Adventure Time but since it is a kid's show, you can only show so much. 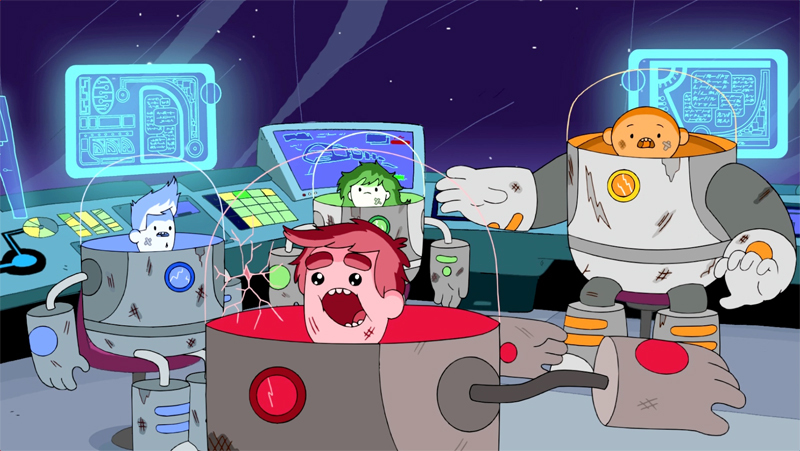 Check out the first episode below and check out the other shows that Cartoon Hangover has to offer here.